WASHINGTON, DC, August 13, 2013 (ENS) – A federal appeals court ruled today that the Nuclear Regulatory Commission can no longer delay a decision on whether or not to grant a permit to the stalled nuclear waste repository at Yucca Mountain, Nevada. In a 2-1 decision, a three-judge panel of the U.S. Court of Appeals for the District of Columbia Circuit ordered the NRC to make up its mind promptly. “The Nuclear Regulatory Commission must promptly continue with the legally mandated licensing process,” wrote Judge Brett Kavanaugh for the majority of two. “The Commission is simply flouting the law,” ruled Kavanaugh. In 2009, the Obama Administration announced its intention to withdraw the Yucca Mountain licensing application with prejudice. “The President may not decline to follow a statutory mandate or prohibition simply because of policy objections,” Kavanaugh wrote. 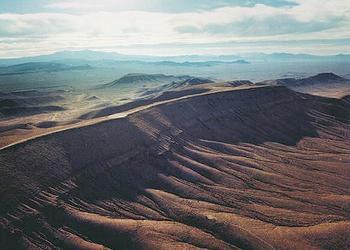 Yucca Mountain is situated about 100 miles (160 km) northwest of Las Vegas within the Nevada Test Site, established in 1951 for the testing of nuclear devices and still in use today. Shortly after the Obama Administration’s decision to withdraw the Yucca Mountain licensing application, the State of South Carolina along with Aiken County, the State of Washington and three Washington citizens filed suit to ensure completion of the repository. Under the 1983 Nuclear Waste Policy Act, 65 separate utility companies signed contracts to enable a nuclear waste repository which was designated for Yucca Mountain in 2002 under President George W. Bush. Today, electric customers pay 1/10 of a cent per kilowatt hour towards the nuclear waste fund, which is designated for the construction of nuclear waste. Ratepayers are hit a second and third time to cover the costs associated with expansion and security of current nuclear waste storage tanks. On top of those charges, taxpayers are on the hook for $200 million in legal fees and over $2 billion in judgments against the Department of Energy for breaking the contracts associated with Yucca Mountain. South Carolina Attorney General Alan Wilson said he is pleased with the ruling. “This decision reaffirms a fundamental truth: the President is not above the law. His administration cannot pick and choose which laws to follow and which to ignore,” said Wilson. “Congress passed laws designating Yucca Mountain as America’s nuclear lock box,” said Wilson. “The American people have paid over $31 billion (including interest) towards that project. The federal government has our money, while we still have to deal with their nuclear waste,” said Wilson. “The site work has already been done. A six-mile tunnel to nowhere exists in the middle of Yucca Mountain to enable this project to be completed as quickly as possible for the safety of the American people and our nuclear waste,” Wilson said. Among the plaintiffs was the National Association of Regulatory Utility Commissioners, who expressed support for the decision. But Nevada officials have fought the Yucca Mountain repository ever since it was proposed, saying it lies within an area fractured with earthquake faults and movement of water through the site would over time corrode waste containers and spread radioactivity into the environment. Since the 1982 Nuclear Waste Policy Act, Senator Harry Reid of Nevada, now Senate Majority Leader, has fought attempts by pro-Yucca Presidents and Congresses to force Yucca Mountain on Nevadans. Senator Reid worked with the Obama Administration to eliminate funding for Yucca Mountain in 2011, withdraw the license application, and terminate the project. The White House’s FY2011 budget request completely eliminated all funding for the Yucca Mountain project. “While fighting for better, safer and more fiscally responsible solutions for dealing with nuclear waste, Senator Reid has successfully stalled the Yucca project by cutting its funding year after year,” Reid’s office says in a statement on the senator’s website. 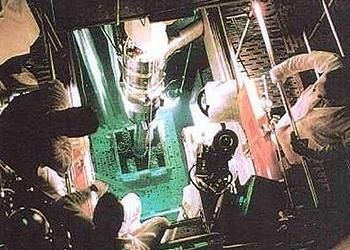 The nation’s spent nuclear fuel is now stored in pools or dry casks on site at the nation’s 104 nuclear power plants. According to the Congressional Research Service, using industry data, there were 62,683 metric tons of commercial spent fuel accumulated in the United States as of the end of 2009. The total increases by 2,000 to 2,400 tons annually. Of that total, about 78 percent is stored in pools and 22 percent is stored in dry casks.